Abergeldie was appointed as Principal Contractor for design and construction to refurbish the six existing bioreactors and their aeration systems, including their structures and mechanical components. 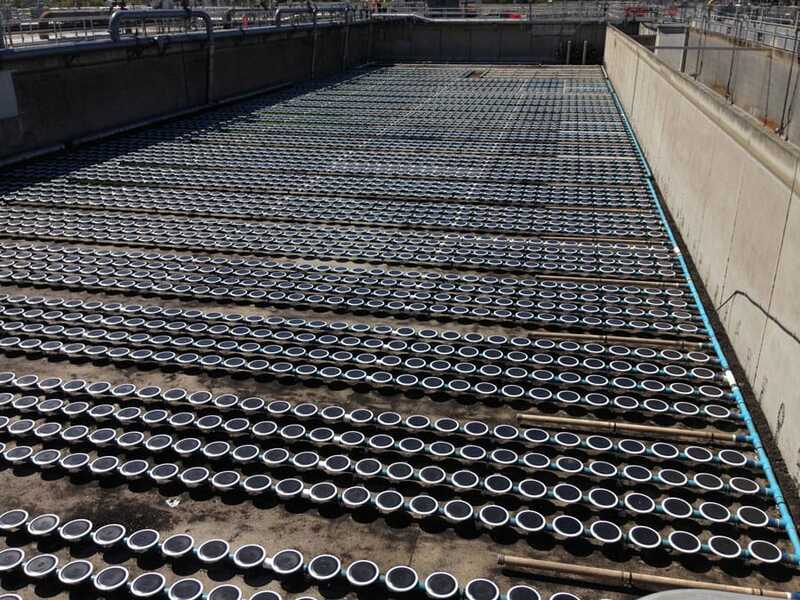 The works required the six bioreactor chambers to be isolated, emptied and cleaned out to enable replacement of the aeration diffusers, painting of the aeration pipework and also for routine structural assessment of the concrete chambers. Scope primarily involved replacement of 30,000 fine and coarse bubble diffusers, together with refurbishment of aeriation lines, valves and concrete structures and surfaces. 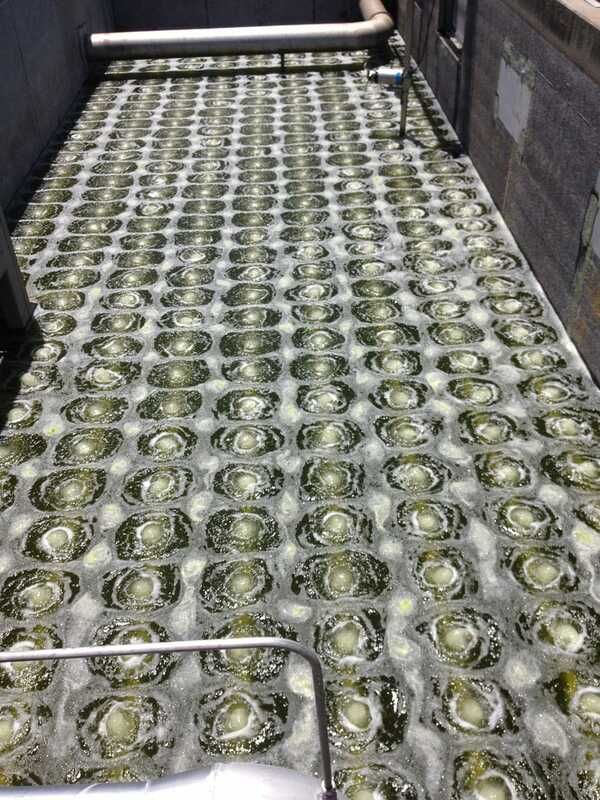 This required dewatering and cleaning of the six bioreactors tanks. 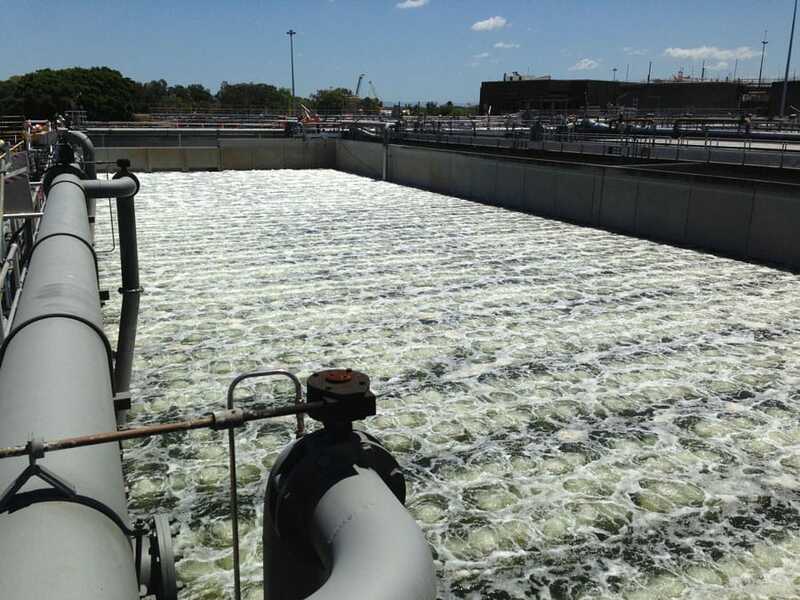 The plant remained operational during the refurbishment to maintain the service of wastewater treatment to the community. A minimum of five of the six bioreactors had to remain on line to comply with environmental release licence requirements for treated effluent. Entry to the tanks to carry out inspections and works was a high risk, confined space activity which also required work at heights and tasks adjacent to water. A detailed isolation procedure was developed to provide safe double isolation of sewage inlets and outlets to ensure the safety of workers carrying out refurbishment of the bioreactors.